Yes, it's pricey. In fact, it's hella pricey. The kind of pricey that makes your chest tighten. The kind of pricey that ends in you throwing up a little as you hand your card over to the cashier (The cashier with the most glowing, creme de la mer covered skin, may I add) Your LOLing on the outside, and your WTFing on the inside. 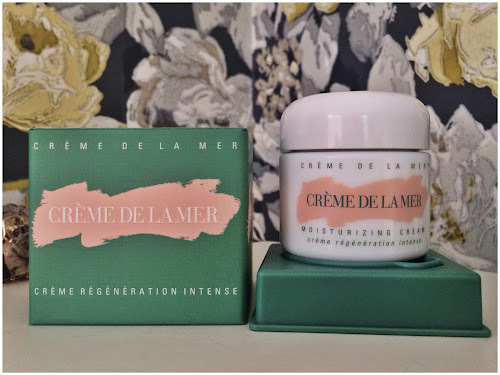 I first tried this ridiculously extravagant cream when I bought it as a gift for my Mum. The kind of gift where you want to try a little yourself, so it's a win win for everyone. Although it wasn't a win, not entirely, because that was the moment that I got hooked on the habit. But it was a win for my skin at least, and that's what really matters, doesn't it? Now, onto the product itself. Housed in a very swanky porcelain pot, the cream comes in Five sizes, the smallest being 30ml for £105, right up to the largest - 500ml for........Wait for it..........an eye watering £1,340! (Side note: What kind of person can afford this? And why am I not one of them?!) Personally, I find that a 30ml pot can last over 6 months, when using the recommended pea sized amount at each application. So that's the size I am currently using. The pot I currently have was actually a gift last Christmas - and it's still going strong almost a year later. If the sun has been particularly strong that day, or the winter too harsh, or if being onboard a long haul aircraft most of my life has dried my skin out, that is when I crack open the 'Mer - It is extremely comforting. Now, the results.... I find that when using creme de la Mer my skin is not only instantly hydrated, it also maintains moisture for longer. The cream is richly hydrating and immediately after using my skin feels soft, appears dewy and much more raidiant. The cream itself has a very silky but firm texture and isn't at all greasy. It is recommended that you 'pat' into skin, after warming it between two fingers. This is to warm and apparently 'activate' the ingredients. I'm not sure about the science behind this, if there even is any, but patting it into the skin does seem to help it to melt into the skin, and feels very soothing. I now pat all moisturisers into my skin, in the hope it will give a any old mousituser some of the creme de la Mer magic! I usually use this in the evenings, as I feel my skin is getting a full 8 hours of hydration that way, rather than using it in the morning and covering it with makeup. This means that the product lasts much longer, and I find my skin benefits just as well as using it twice a day. I hardly get any breakouts and I often get comments on how 'glowy' my skin is. I feel that my make up goes on smoother, my skin feels plumper and I notice less blemishes. I also notice less money in the bank, but I digress ;) All in all, it's a product I would recommend, but I feel it works just as well alternated with a more affordable moisturiser - and lasts twice as long - without loosing out on its benefits. Girly maths at its best. Have you tried Creme De La Mer? What are your thoughts? I'd love to hear in the comments! I have dry and dehydrated skin and often find that a rich cream is what my skin is crying out for. Have you tried the Elemis Pro Collagen Marine Cream? 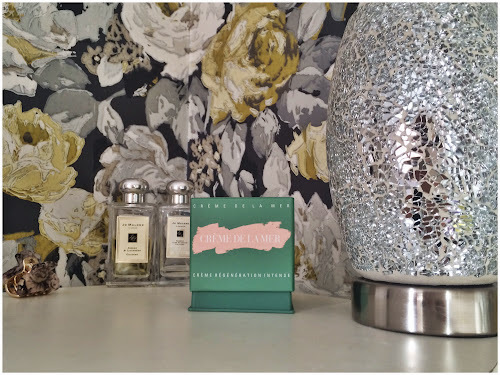 I found great results with this that were comparable to the results from using la Mer.